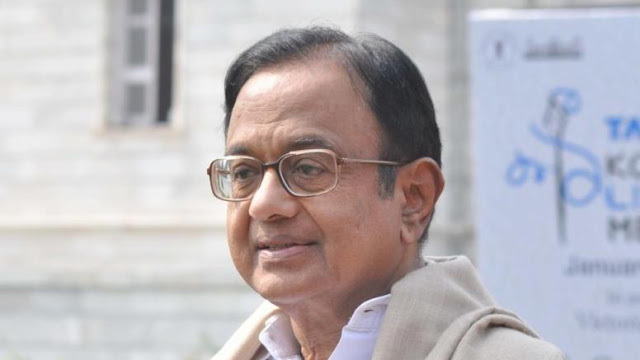 In an open letter, the advocacy group South Asia Human Rights Documentation Centre’s Ravi Nair has asked senior Congress leader P Chidambaram to include the promise to repeal sedition law, Section 124-A, IPC in Congress’ election manifesto for 2019, even expecting several Congress-ruled or supported states to take “immediate” steps to repeal it through state amendments. The letter comes following Chidambaram, a former Union home minister, condemning the “malicious” charge of sedition against Kanhaiya Kumar. 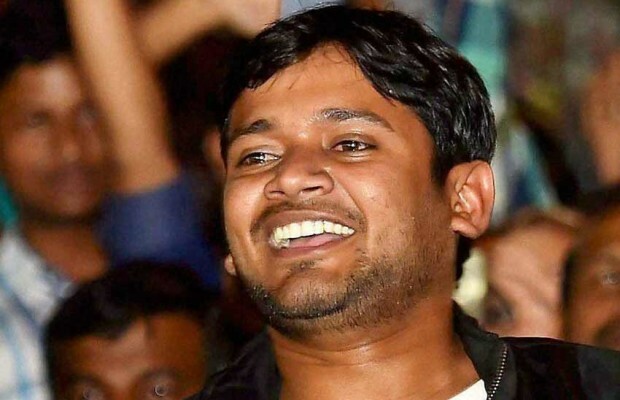 We were heartened to read your statement on the malicious sedition charge filed by the Delhi Police against Kanhaiya Kumar and other students of Jawaharlal Nehru University (JNU) and we welcome your view that there needs to be a debate on whether such a law has a place in the laws of a democratic republic. While your reaction is of great import, coming as it is from a former Union Home Minister and eminent lawyer, we also hope that you and Mr. Kapil Sibal, another eminent lawyer from your party who has called for the law to be scrapped, will initiate a discussion in the Congress party and ensure that the party includes the repeal of Section 124A of the IPC in its manifesto for the 2019 general elections. I hope the provision will be eviscerated from the criminal justice system once the Congress Party becomes a major pillar of any new power structure that emerges following the general elections. While the above-mentioned section was misused during successive earlier Congress governments, the present BJP government has used in a manner that the worst authoritarian anywhere on the planet would find difficult to emulate. A formal commitment in the Congress Party manifesto will draw a line under the Congress Party’s past on this important issue. In 2016, the section was used to file sedition charges against the President of your party, Mr. Rahul Gandhi, and leaders of other political parties in the state of Uttar Pradesh. Section 124A, which was introduced in 1870 by the British via an amendment in the Penal Code, was also used to imprison Bal Gangadhar Tilak and charge Mahatma Gandhi and Maulana Azad for allegedly causing“disaffection” towards the Government. It is unbecoming for an independent India to continue with such an undemocratic colonial era provision. It is a cognizable, non-bailable and a non-compoundable offence.With mandatory compensation not being an enforceable right in India and only allowed at a judge’s discretion, which is extremely rare, the provision has become a convenient tool to suppress not merely political opposition but stifle dissent of the mildest kind. Successful criminal action against law enforcement personnel for malicious prosecution has not been possible thus far for a variety of reasons. The safeguards available through judicial determination based on the precedents set in the case of Balwant Singh v State of Punjab and Kedar Nath Singh v State of Bihar have been defeated due to judicial delay, prohibitive legal costs and the lack of proper investigations by incompetent police machinery. Most citizens today are conscious of how the provision can and is being abused by an authoritarian right-wing, Hindutva fundamentalist government. It is essential to repeal such laws to ensure the survival of India’s democratic system and values. The Congress Party needs to take the lead in building a consensus to repeal a law that inhibits non-violent freedom of speech and expression. Since the general elections are still a few months away, there is still time before a new non-BJP government comes to power at the Centre, the Congress Party leadership must affirm its commitment to repeal the sedition law and encourage States with Congress Governments in power (Rajasthan, Madhya Pradesh, Chhattisgarh, Punjab, Puducherry and Karnataka, in coalition) to bring state amendments to the IPC to repeal Section 124A. Sedition law under IPC is criminal in nature and hence falls under the Concurrent List. This implies that the Union Parliament as well as the State Legislature can make and amend laws on sedition. As you are aware, the legislative procedure for State amendments to the IPC is the same as introducing a new law. The procedure required therein is given under the Constitution of India. The amendment bill needs to be introduced in one of the Houses of the legislature (in case of bicameral houses) and needs to be passed by a simple majority by both Houses before the dissolution of the Legislative Assembly (since it is an ordinary bill). In the Legislative Council, the bill needs to be passed within three months from the date of laying it on the table, or in case it is rejected, within one month after it has been passed for the second time by the Legislative Assembly. Once passed by the House or Houses, the bill is sent for the assent of the Governor, who can either give his/her assent, send the bill back to the House or Houses for consideration or reserve the bill for consideration of the President. We are cognizant of the fact that the bill will face impediments when it reaches the stage of assent as it will be hit by Article 254 of the Constitution of India. Article 254 of the Constitution makes provision firstly, as to what would happen in the case of conflict between a Central and State law with regard to the subjects enumerated in the Concurrent List, and secondly, for resolving such conflict. Article 254(1) enunciates the normal rule that in the event of a conflict between a Union and a State law in the concurrent field, the former prevails over the latter. Clause (1) lays down that if a State law relating to a Concurrent subject is ‘repugnant’ to a Union law relating to that subject, then, whether the Union law is prior or later in time, the Union law will prevail and the State law shall, to the extent of such repugnancy, be void. To the general rule laid down in Clause (1), Clause (2) engrafts an exception, viz, that if the President assents to a State law which has been reserved for his consideration, it will prevail notwithstanding its repugnancy to an earlier law of the Union, both laws dealing with a Concurrent subject. In such a case, the Central Act will give way to the State Act only to the extent of inconsistency between the two, and no more. In short, the result of obtaining the assent of the President to a State Act which is inconsistent with a previous Union law relating to a Concurrent subject would be that the State Act will prevail in that State and override the provisions of the Central Act in their applicability to that State only. The predominance of the State law may however be taken away if Parliament legislates under the Proviso to Clause (2). A Bill which attracts Article 254(2) or Article 304(b) where it is introduced or moved in the Legislative Assembly of a State without the previous sanction of the President or which attracted Article 31(3) as it was then in force, or falling under the second proviso to Article 200 has necessarily to be reserved for the consideration of the President. Therefore, once the law is passed in the State Legislatures, it will require the assent of the President in order to come into effect. Given the present political situation in the country, it is certain that the current President may not give assent to the bill. However, the passage of the bill by the State Legislatures will stand as strong testament to the rejection and protest against the draconian implementation of an un-democratic sedition law to stifle dissent and freedom of speech. In the event of the President rejecting the bill, which will be no surprise, the non-BJP State Governments should publicly resolve not to implement the sedition law in their states as a mark of their protest and abhorrence against a draconian law that goes against our democratic values. We would like to reiterate the request that the Congress Party consider the inclusion of repeal of Section 124A in its 2019 election manifesto. I hope that State Governments in Rajasthan, Madhya Pradesh, Chhattisgarh, Punjab, Puducherry and Karnataka will also be urged to take immediate steps for its repeal through State Amendments in order to send a salutary signal to the present Union Government and the BJP ruled states that harassing citizens for exercising their democratic right to question the government and its agencies goes against the idea of India. It will also assert, in no uncertain terms, the political consensus of all progressive parties on ensuring the freedom of expression and association, which are the cornerstone of our democracy.